Holy Science 1855-1936 Shri Yukteswara Giri = provided the much needed meta-cultural narrative describing how huge historic cycles regulate the vast ocean of Time (Shani). 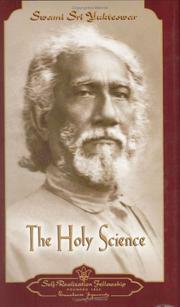 Holy Science 1855-1936 Shri Yukteswara Giri + Guru. Hailed from a commercial, land-owning Bangla family. Rahu in bhava-3 * the Shadowy Specter seeks privilege via glamorous or unusual writing, reporting, news announcements, cinema, commentary, messaging, publishing; desires a special, important explanatory, descriptive, or instructional role in commercial business, internet, cinema, or communications media. Exciting, pportunistic, ambitious sibling-cousin, cohort, or touring ensemble. 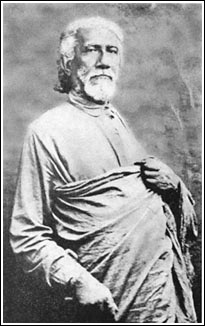 Shri Yukteswar controversially argued that a long-cherished belief about the start-stop times of the Kali-Yuga was based on an oft-repeated error, and that indeed the ascending Dwapara Yuga had begun in the early 1700's during the western Age of Enlightenment. Although many embraced his reasoning, orthodox believers denounced both him and his claims.